When you swap Africa’s sun for the cold north, it can take some time to warm up. 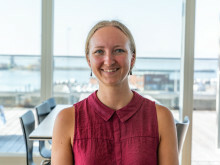 That is just what cook, Kim Pejtersen, has done after nine years on board the ’Esvagt Connector’, who will move onto to new challenges on board the ’Esvagt Stavanger’. By tradition, the ship’s club on board the ’Esvagt Connector’ makes a framed photo collage showing the good times they have had on board to all colleagues that have been there for more than five years and who have chosen to move on. This time, the crew chose to do something quite different. The vessel works off the coast of West Africa, with Dakar as its harbour base and this time, their farewell gift came in the form of a surprise safari for Kim. With a great deal of help from a very understanding receptionist and fleet manager at ESVAGT, the crew managed to book the hotel, safari trip, transport and delayed home journey so the normal sign off was replaced with two days of adventure – complete with Hawaii shorts and genuine Dr. Livingstone pith helmet! 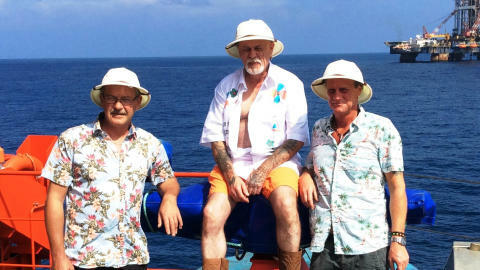 Kim Pejtersen and his colleagues, Ole Juul Nielsen and Henrik G. Pedersen, booked into a beachside resort and travelled on to Bandia Park; a nature reserve covering 3,500 hectares. The three seamen saw giraffes, zebra, rhinos, apes, hyena, emus, crocodiles and some equally impressive flora. Their plan for an unforgettable farewell was a complete success!